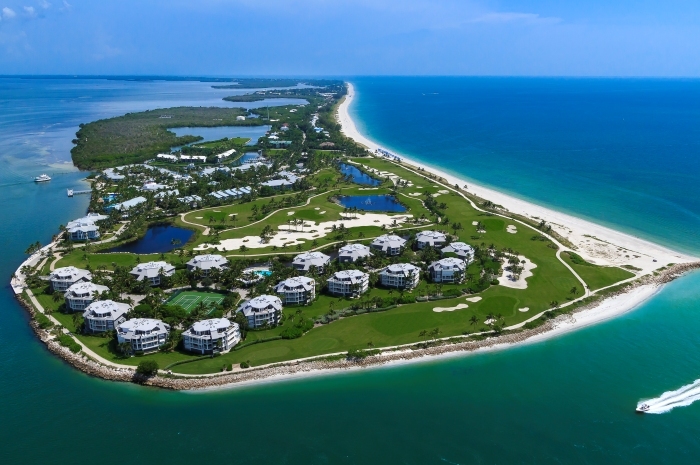 At the north end of Sanibel Island is picturesque Captiva Island, surrounded by breathtaking bays and the stunning Gulf of Mexico. 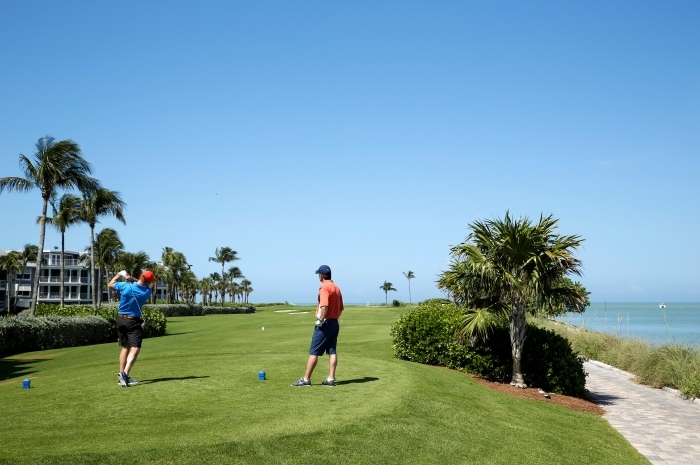 This is the perfect setting for a rewarding Florida vacation at one of the most beautiful sailing resorts in the world. 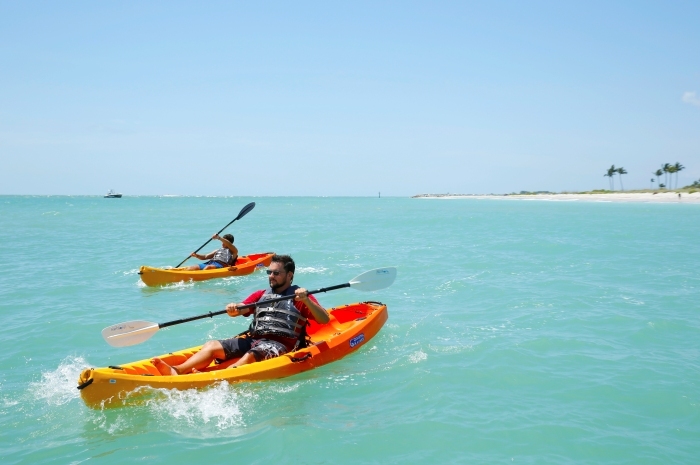 Experience the Gulf Coast’s delightfully casual island lifestyle and learn how to sail on vacation on Captiva Island. If you’re brainstorming South Seas Island Resort activities, try something different and learn how to sail with Offshore Sailing School. These sailing courses in Florida also include cruising and racing. Click on the links below to learn more about each course. Nearby and on the sailing resort are outstanding shops and a fun selection of island eateries. With the Gulf of Mexico to the west and Pine Island Sound to the east, you have a clear view of morning sunrises and spectacular evening sunsets. Bring your friends and family, even if they aren’t planning to take a course with you. 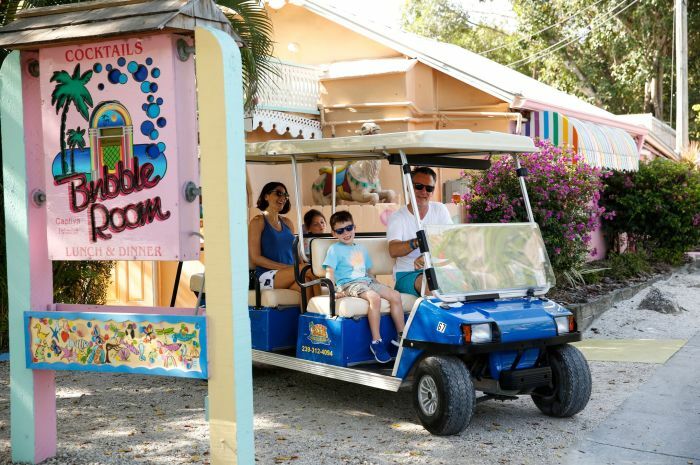 Discover why South Seas Island Resort has become a multi-generational classic, one of Conde Nast Traveler magazine’s “Top 10 Resorts in the World for Families,” and Parents Magazine’s “Top 10 Beach Resorts.” There’s so much to do, so much to see! 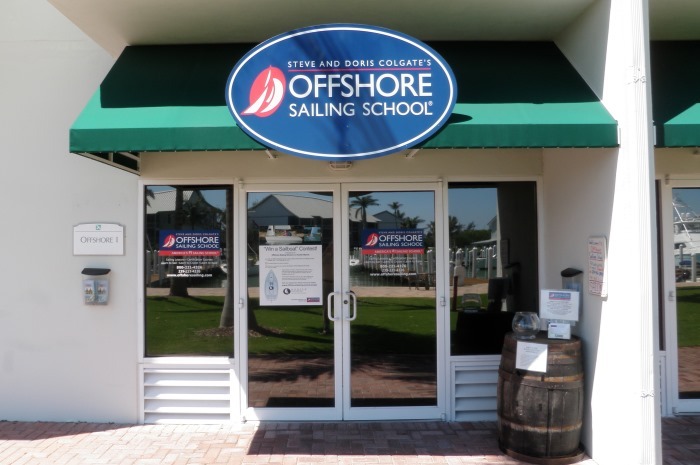 Take a Video Tour of Offshore Sailing School at South Seas Island Resort Here. South Seas Island Resort, affectionately called “Florida’s Tahiti,” is the perfect getaway for singles, families and couples. 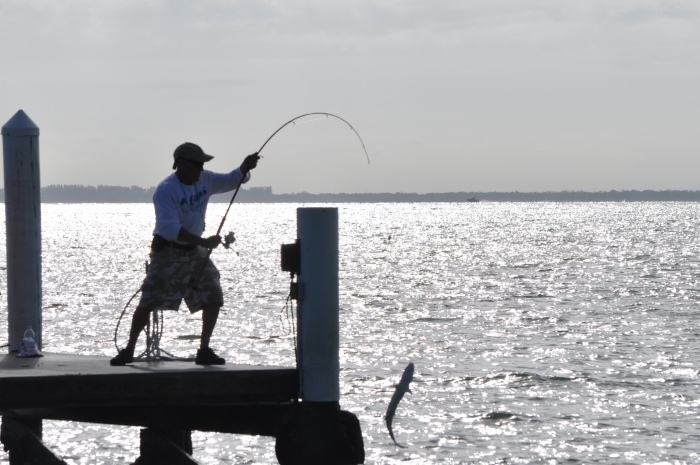 The resort is captivating in every way – with miles of sandy beaches, Gulf of Mexico sailing, manatees surfacing in the harbor, dolphins playing in your wake, and spectacular sunsets over the Gulf’s endless horizon. Our professional Offshore Sailing School instructors are well-versed in island lore. If you already know how to sail, stimulate your competitive sailing spirit with one of our Captiva Island sailing classes such as performance sailing lessons or sailboat racing courses. Get your bareboat cruising certification. Enjoy a lesson with the entire family, treat your corporate team to an awe-inspiring experience, or simply expand your existing skills with a bareboat refresher course. 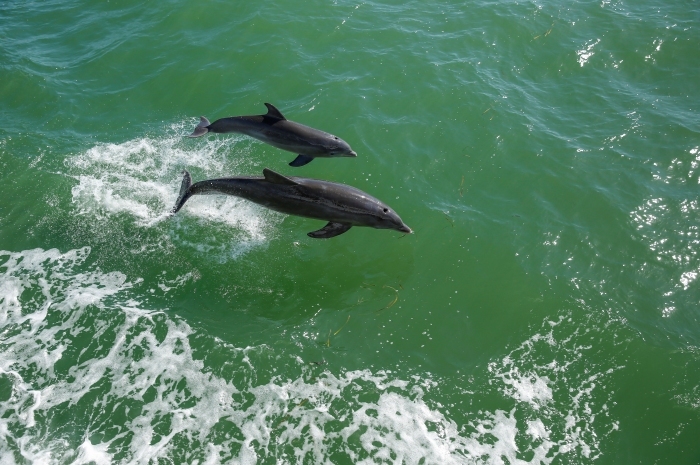 Whichever you choose, we guarantee a memorable vacation with our sailing school on Captiva Island. If you choose the five-day schedule, you sail in the pristine waters of Pine Island Sound, in half-day sessions, at one of the top sailing resorts. This memorable sailing course in Florida gives you a new skill and time to explore all that Captiva and Sanibel have to offer. If you have limited time you can take the Learn to Sail course in two action-packed days, sailing morning and afternoon each day on Saturday and Sunday. Call 888-454-7015 for information on our Fast Track to Cruising course, also offered at this beautiful location. Set Sail in Exotic Ports Around the World! 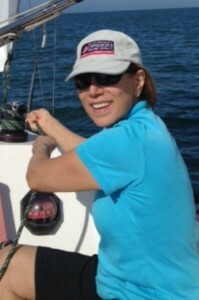 Cruise with Offshore Sailing School on our fabulous Colgate Sailing Adventures™ cruises all over the world! 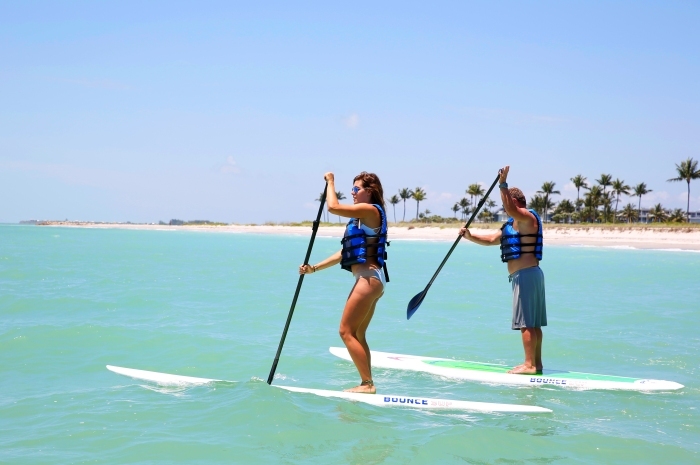 South Seas Island Resort has been home to Offshore Sailing School on Captiva Island since 1975. Here you learn in an eco-environment, absorbing the wonders of sea life, surrounded by pristine nature. 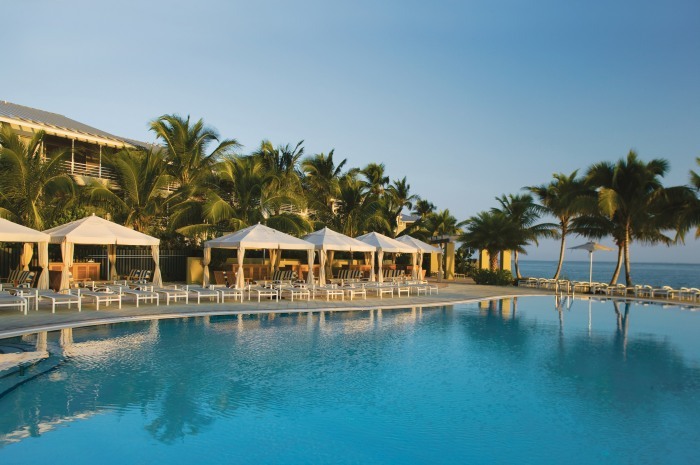 South Seas Island Resort’s ambiance and amenities are top of the line and all right on the property. Accommodations include hotel suites, one to three bedroom villas, beach homes and condos. If you want to explore and shop off the island you may want to rent a car. 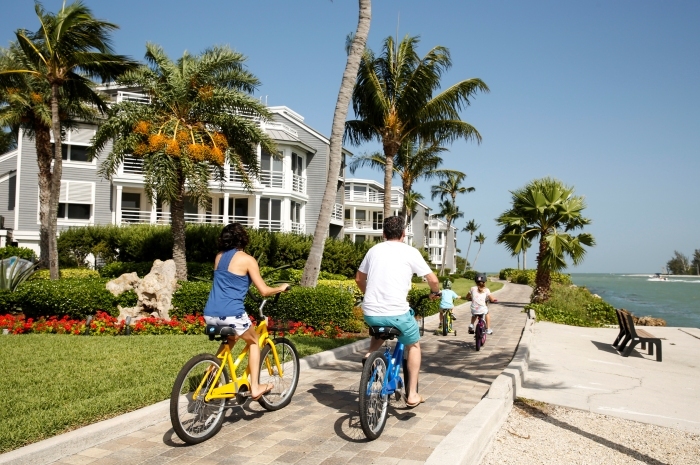 To get around the resort and into Captiva Village, golf carts and bicycles rentals are available and a trolley travels from one end of the Captiva Island resort to the other. Off-season you can enjoy a free night on resort stays of at least four days. If you are signing up for a three-day course, add a day to explore the Ding Darling National Refuge, Bailey-Matthew Shell Museum and Clinic for the Rehabilitation for Wildlife (C.R.O.W.) on Sanibel Island. While other schools teach up to 6 people on a boat, Offshore Sailing School never teaches more than four per boat and instructor unless you opt for a Tweens & Teens Learn Free or Buy the Boat program. Private Couples or Family Courses are also available. Rates vary by season. Please see the “What’s Included” tab for more information. Call 888-454-7015 or email Sail@OffshoreSailing.com for package rates and availability. 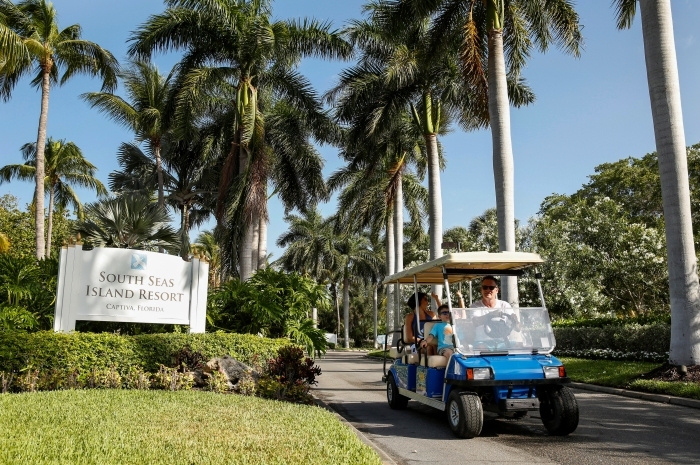 South Seas Island Resort has a wide variety of accommodations, ranging from hotel rooms overlooking the marina to villas accommodating up to eight on the beach, golf course and tennis courts. Please call 888-454-7015 or email Sail@OffshoreSailing.com to get a quote for the course and accommodations you desire during your preferred travel time period. Here is an overview of what’s included when you take an Offshore Sailing School course at South Seas Island Resort. Please check the individual courses for more details. bridge to Sanibel Island – about 1-1/2 hours’ drive from Southwest International Airport (RSW) in Ft. Myers and 3 hours from Tampa, Ft. Lauderdale and Miami airports. Taxi service is available at the RSW airport. Rental cars are available at all airports and on the resort. If you prefer to drive, you can visit a host of scenic sites as you make your way down the Gulf Coast of Florida. The Offshore Sailing School newsletter is emailed twice a month to anyone interested in learning more about sailing and boating. It is packed with sailing and boating news, how-to tips, upcoming programs, contests and special deals. 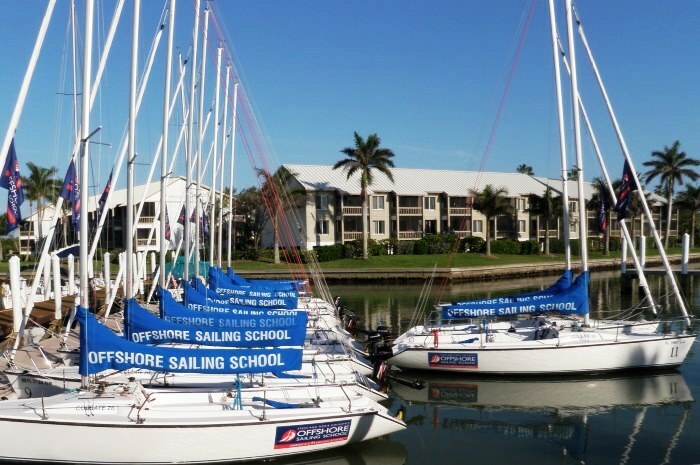 OffshoreSailing.com developed by Bayshore Solutions and managed by Offshore Sailing School. Please report any issues to Offshore Sailing School.